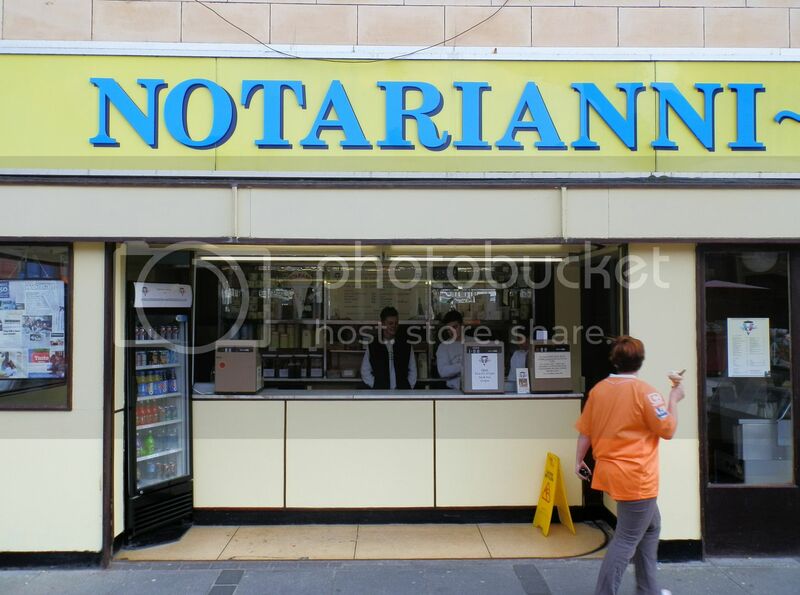 Notarianni's was set up in Blackpool at the end of a long journey. Luigi Notarianni was born into a large family in a small village in the south of Italy.At the beginning of the 20th century there was great poverty and a realisation that the locals would have to leave to make a living for the family. So like many Italians before, Luigi and his wife Messalina decided to follow other members of the family and immigrate to Scotland. They first moved to Paisley near Glasgow where they worked to save enough money to open up their own ice cream parlour. 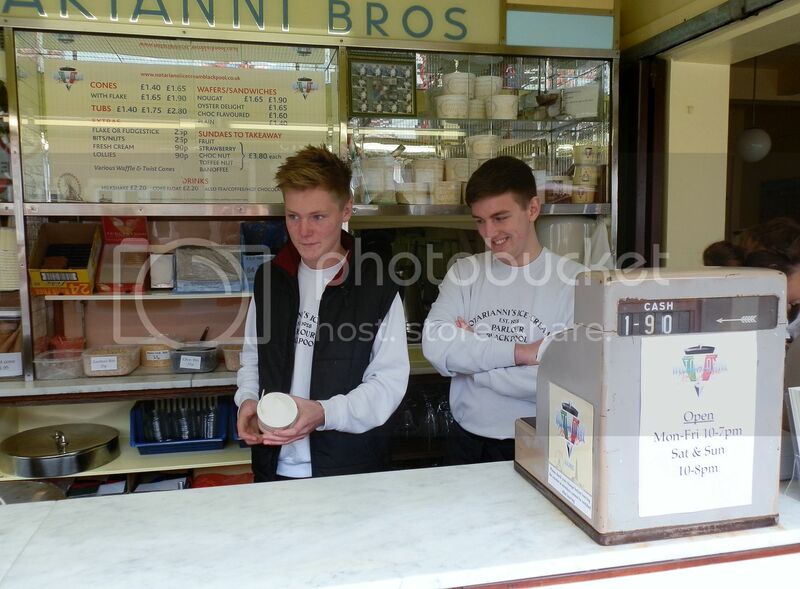 They had 2 children and decided to move down to Blackpool to start up a business. They found a shop on Central promenade where they quickly became popular with the locals and visitors alike making beautiful vanilla ice cream with all the usual sundaes and drinks. They were doing so well that they decided to open up a second parlour on Waterloo road,circa 1937, (This is where the family still trade today).Then came the second world war and Luigi was taken away along with a lot of UK italians, and interned on the Isle of Man for the duration of the war.Messalina and her daughter couldn't keep both shop's running so eventually had to give up central prom and concentrate on Waterloo road. After the war finished Luigi returned to help back in the business and his daughter married into another great italian ice cream family based in Great Yarmouth. 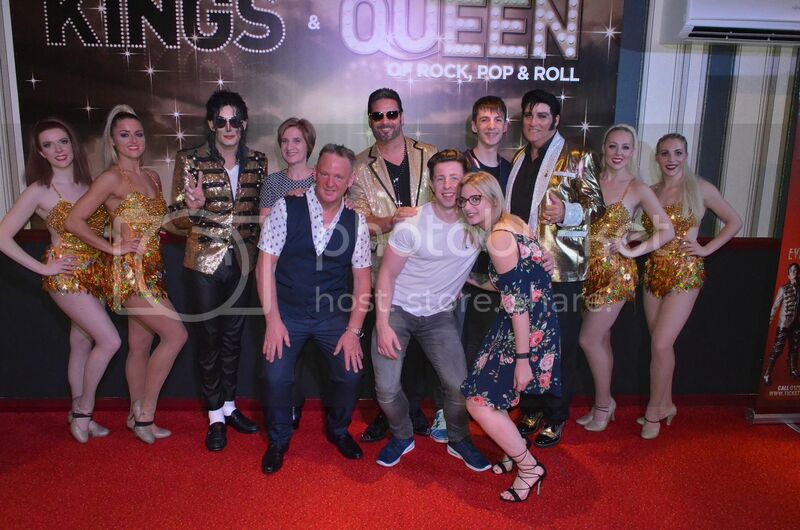 The third and fourth generation of the family still run the business today at Waterloo road, thanks to a loyal following from locals and tourist who have returned generation after generation. 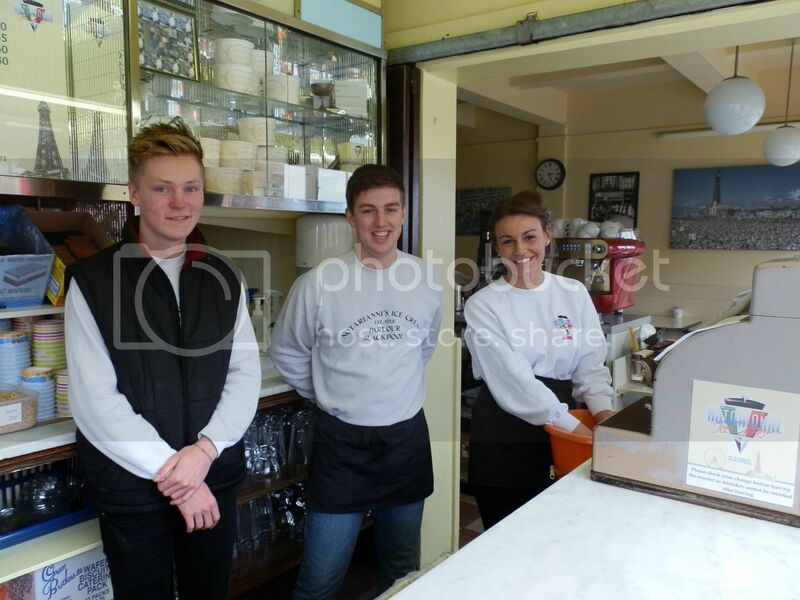 The shop is divided into two sections, a takeaway part and a parlour with seating. We still make the original Vanilla flavoured ice cream which can be bought in cones, tubs, wafers including nougat wafers, oyster delights and chocolate flavoured wafers, twist cones and waffle cones,etc. These can all be bought from the take-away section. In the parlour we sell all the old classic sundaes like Knickerbocker glories, Banana splits, Peach Melbas, along with various other sundaes. We also sell tea, coffee and soft drinks and a selection of cakes and sandwiches. 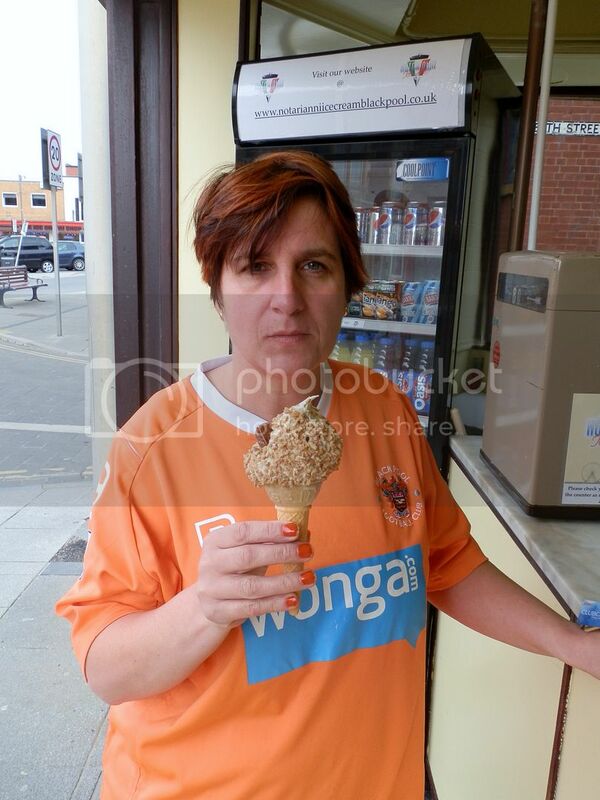 Louise loves her Ice Cream.. 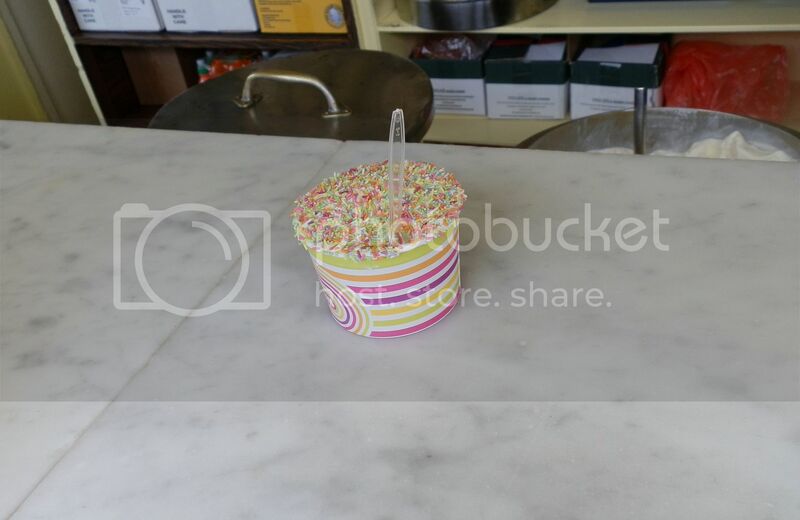 I decided on a tub..
Re: Notarianni Ice Cream Blackpool.. I've been past it many times but I don't think I've ever eaten the ice cream from there. 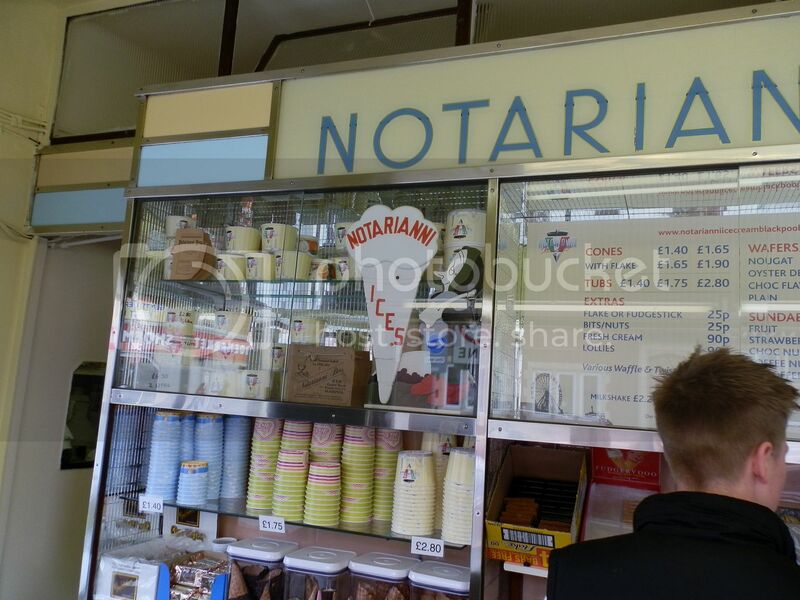 Not just ice cream, Notarianni ice cream! Have you ever tried it Keno?